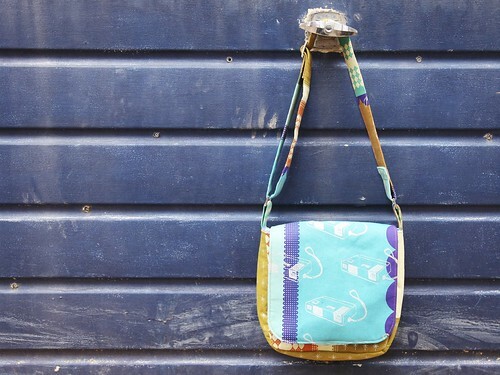 At the end of February Katy put a call out for pattern testers for her next bag pattern – the Mini Messenger bag. I was right in the middle of quite a few quilts and really fancied a totally different project so I volunteered. I’m not going to waffle on much about the process as I did all that in a feedback email to Katy, so any glitches will now have been ironed out. It was a little fiddly but then sewing curves isn’t the easiest thing to do. My one complaint is entirely my own fault; the bag is meant to be worn on the shoulder and I never wear bags on my shoulder! 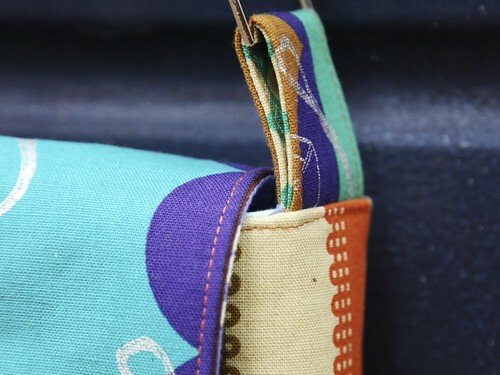 I’m a big fan of across the body bags, so I will be unpicking the strap and adding some length to it! The bag hardware was from Bag Clasps, if you’re in the UK and need hardware it’s a great place to go for a fast service and free delivery. 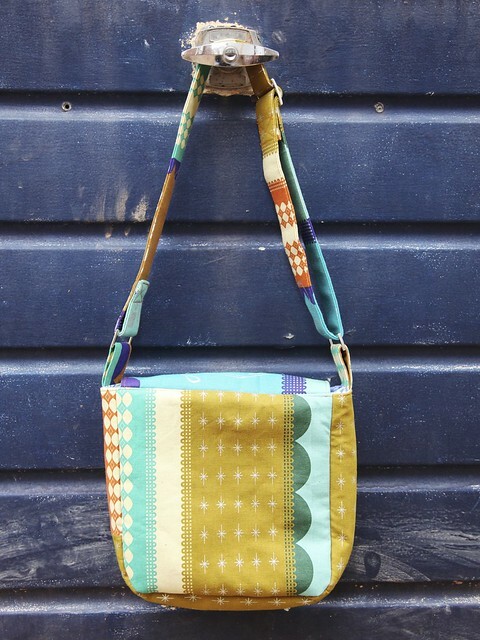 You can see the other testers versions of the bag here and also a discount code for any of Katy’s patterns (valid until 10th April so be quick). Thanks Katy for letting me test! 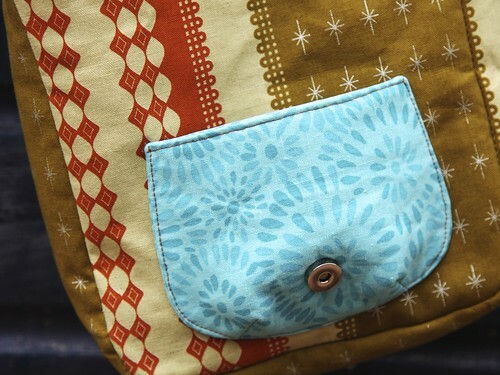 It’s a great pattern and I love the fabric too …. Smug smile as I made my strap longer … But only because my fabric was wider!